Nexus Logistics company is an international freight forwarder & customs broker operating throughout Egypt, we have been serving the needs of the shipping industry and trading since 2008, offering premium logistics services to firms with exclusive personalized services & expert knowledge forwarding, transportation logistics and customs broking. Nexus Logistics one of the leading logistics companies in Egypt, which depends on the well-trained staff and a qualified management who knows the secret of professionalism, aiming to provide a world class forwarding services. We draw on the blend of maritime history & culture of quality & combine it with high skills to put together what we believe to be unbeatable portfolio of services. Our commitment to quality is reflected in a highly committed team who serve the customers that are looking for this highest quality in the term of relationships & requirements. The vision of Nexus is to be one of the world’s leading companies of excellence in global logistics,supply chain management and related technologies, connecting people and creating prosperity. Our mission is to provide superior services to the firms, individuals and communities we serve. We approach our partnership by focusing on your goals –we are an extension of your operation. We apply our best knowledge and experience to create innovative strategies and solutions. We assure consistency and flawless execution by integrating operations and capabilities. We anticipate your changing dynamics so we can adapt readily and move quickly. We help you to achieve your business goals by providing the flexibility needed in order to provide your company with the best possible service while reducing costs. To be proactive, always begin with the end in mind, consistent with correct principles and discipline our commitment to always put first things first, constant translation to action. Integrity: We live by our words to our stakeholders and to each other. We take full responsibilities of our actions. Ethics: We never compromise our highest morals and ethical standards. Courtesy: We behave with politeness and respect towards each other and towards costumers, agents, suppliers and others. Disagreements or inconsistencies are always handled in a calm and dignified way. Loyalty: We believe that loyalty and transparency with customers, agents, and suppliers build strong, deep and intense relations that lead to success to all concerned. Commitment to customer success: We believe that our customers’ success is our success. We actively listen and respond to our customers’ needs. We proactively seek new techniques to achieve our customers’ profitability. Strategic management: We are focused on achieving our vision. We set plans to achieve our objectives. We monitor our implementation plans in a disciplined way. We gather accurate and comprehensive information both internally and externally and use it effectively to drive continuous improvement to create competitive advantages. Quality: We believe that quality is one of the most important factors of success. We give our customers by all means the best possible service by utilizing our resources in the most productive way. Teamwork: We believe in working together. Each member of the team complements the other. By working in teams we create synergy. Each member gain and learn experience and build strong inter- personal relationships. Communication: We embrace open door policy within the team, customers, agents and suppliers. We share all ideas and techniques that can enhance a three way communication in an honest and candor way. Learning and Personal Growth: We believe that the success of the company is based on the success and growth of each of us as individuals. We always seek to increase our knowledge in order to benefit our customers. Sense of urgency: We believe time in our business is very valuable. We are committed to providing our service and receiving or delivering cargo to costumers on time, every time and we transfer this sense of urgency to our customers, agents and suppliers. We also apply the urgency to the implementation to positive changes that contribute to our progress and growth. Client Value Creation: Improving our clients’ business performance, and focusing on execution excellence. Building partnerships: Valuing diversity, ensuring an interesting and inclusive environment and we believe in creating long-term, win-win relationships and never exploit others unfairly for organizational or personal gain. We are treating people as we would like to be treated ourselves. Social responsibility: We have a duty towards the society in which we live and work. We believe in contributing to the growth and the development of our country. We are also committed to protecting the environment and natural resources. The quality of services that we offer is a key factor in our continued success. Nexus provides general freight services connected with Import & Export, Sea complements it with an efficient land base support system. In bounded ocean freight Import &Export. Multi & worldwide / Buyer consolidation. Group age & parts load. Complete export documentation and logistics services. Inland movement. Nexus handles a wide array of commodities, and supports all incoterms from EXW to DDP. A high quality network of freight forwarders and Ocean Transportation intermediary (OTI) who share our business goal and objective support our global transportation services. Through this network we offer effective multi-modal (air, sea, and truck) transportation services on a door-to-door basis. We offer daily consol to various destinations. Our relationship with all Major airlines can assure the spacing, flexible flight schedule and best pricing. Whether you need either express service or same day flight, airport-to-airport and door-to-door delivery features. quality services we provide effective logistics solutions at lower costs that help our customers grow and stay competitive in today’s market places. We specialize in processing customs entries for wide array of commodities. Our licensed broker networks have been assisting companies with proper classification accurate document preparation. For those companies that are the value of economy versus speed we offer consolidation. We have contracts in place with premier carriers serving all major trade lanes allowing us to price our services very economically. Nexus Corporation understands that efficient warehousing and delivery services can help our customers to lower cost and save valuable time. We provide all the necessary facilities such as forklift, pallets, electronic scales and pallet-jack etc are available in supporting different types of shipments. To ensure maximum security all warehouses are equipped with advanced security gate, Surveillance Cameras throughout facility 24 hours in shift security guard services are provided. Our warehouse Management System, include, Receiving and inventor replenishment, Purchase order management Sorting and segregating, Pick and pack, labeling fulfillment, delivery. Emergency parts distribution, stock transfer, Cross docking Physical Distribution. Nexus corporation offers JIT just-in-time service to our customer. 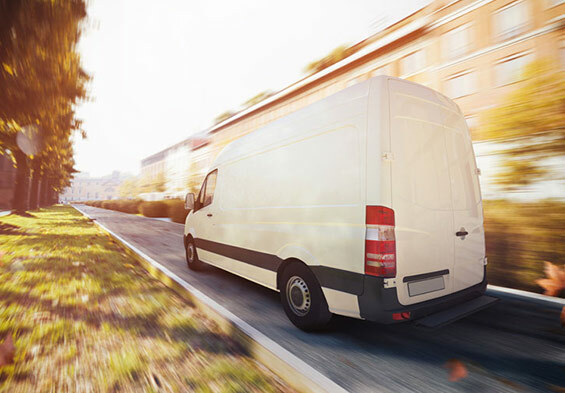 Sequenced supply synchronized delivery management and in-transit- mixing products, storage, pick and pack, labeling and delivery service support. Whether your cargo is large or small our inland carrier network can support your transportation needs. We provide Truckloads, Railroad and Interposal services at very competitive rates.Nexus can take care of all your special projects and oversize cargo as well too. label .Bubble plastic warp for sensitive cargo etc. Express your business. Delivering on our promises, so you can deliver on yours.